Hard to believe that the end of March is nigh, it's time to tally up the books for the conclusion of the financial year and enjoy the Easter holidays. This month's Avatar News covers a range of bases, including a feature on how to give your website photography more impact. There's also our usual selection of tidbits, statistics, sites of interest and more to keep you in the know. Enjoy! The internet is an visually rich medium, and having high quality images is essential to stand out from the pack and to ensure your website looks slick and professional. Though there are many sites out there that offer a variety of images available to purchase, often if you have a specific service or product a generic stock photo isn't going to cut it. Taking your own photos (or having them taken) is the best way to ensure they are unique, relevant and royalty-free. 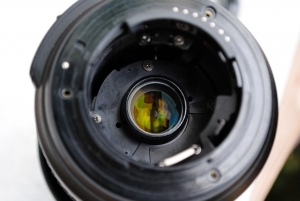 You have two options available – having photos taken by a professional or doing it yourself. Although the latter will certainly save you money, it's a risky venture. Optimal lighting is a key consideration, most amatuers don’t have the experience or equipment to get the best result – especially indoor shots and product shots. Unless you are confident you have the skill and equipment to do a great job, you could end up with below-par images that reflect poorly on your business and website. A professional photographer understands how to make subjects look as attractive as possible, and you can be assured the images will be high quality. For eCommerce websites in particular, having photos of the products you sell goes a huge way to entice buyers. Allowing them to see how the object will look when it arrives increases confidence and confirms they are ordering what they want. If possible, try to photograph as many different size and colour variations as possible, even if it is largely the same object. For clothing and other household objects it's usually a good idea to include multiple views of the item, and if possible both a close up and a wider shot. For local businesses, having images of the premises can be a great way to help customers find the right location. A photo from the street provides a visual memory for them to find the place in person, and if it's a business that makes transactions online it also adds a sense of credibility. 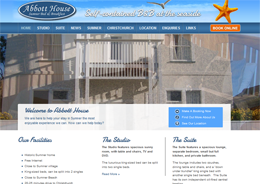 Sometimes it's an abstract service that you need to sell via your website. In this case, photographs of people can be a great way to add visual interest. It can also be a nice way to introduce key staff to visitors, and increases the sense of familiarity and trust. 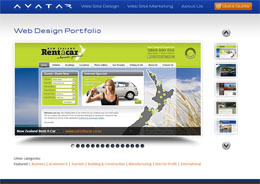 It could be a good time to ponder how the photos on your site represent you and your business. According to Google's Mobile Planet, only 50% of New Zealand mobile internet users feel satisfied with the current modes of browsing websites on a smartphone. This is likely because many business still fail to recognise the importance of having a mobile-compatible website, despite mammoth upward trends in the usage rates of smartphones and tablets. To avoid missing out on this critical audience, it's a good idea to reflect on your website and ask whether a mobile user would be satisfied using it, or if they'd quickly hit the back button. Rich Snippets Make Better Search Results. Adding extra meta data to your site via Schema will make your site appear more attractive on search result pages. Good Blog Design. With so many blogs out there asking for attention, you need to make sure yours stands out. Google Kills RSS Reader. To the disappointment of many, Google is shutting down its RSS reader service. Facebook Shortcuts. Use social media like a pro with these little known keyboard shortcuts. Alternatively, learn how to avoid accidentally liking something embarrassing. Put Some Fire In Your Fox. These Firefox add-ons are essential for any web developer. Space X Grasshopper Pulls Through Ring Of Fire. The reusable rocket recorded its highest ever flight, manned by a dummy dressed as Johnny Cash. Quantum Entanglement. Quantum "spooky action at a distance" travels 10000 times faster than the speed of light. 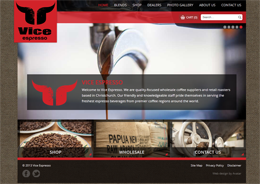 A Christchurch-based coffee company that sources and wholesales top quality beans and coffee. 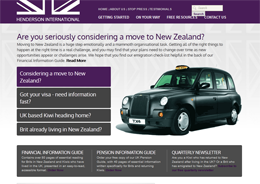 UK to New Zealand immigration experts with a focus on pensions and QROPS transfers. Charming and characterful accommodation located in beautiful Sumner, Christchurch.